Serious trouble for Mercy Johnson as fans attacked her on social media due to her recent outburst on marketers over ban. She is by far the biggest name on the bill and besides, the best actress in Nollywood presently,so scores of fans received her ban with miss feelings. But the actress instead of maintaining her calmness and allow posterity to speak for her due to what she has done in the industry, got infuriated and slapped the marketers. She replied them that some people should stick to "kain kain"(Local gin consumed in Nigeria) and moreover advised them to try other actresses if they can't afford her. Her response was met with outrage from hundreds of disappointed fans insinuating that the actress was becoming to big to handle by marketers and seems to be feeling too pompous. "She seems to have gathered too much weight and has hurriedly forgotten those days when she used to go on bended knees for a 'waka pass' Role in movies. They will teach her a lesson"
I have warned you elsewhere Mercy, to limit your 'gra gra', Don't do 'Gra Gra', lots of 'gra gra' people like you have come and gone and never return, so please lower your 'gra gra' the end of the fame may be knocking at your door. Be warned. 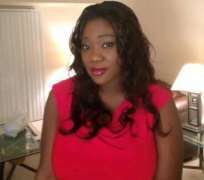 Mercy Johnson, humble yourself and make humility your watchword. You are not endowed beauty wise as the likes of Genny, Omosexy, Rita etc who any day can still make a living from corporate endorsements because of their good look, Mercy Johnson you are ugly, rough and don't belong to the class of the beautiful ones as to get any such endorsement contract. If all you make a living out of, is acting and you are unable to manage your ego as is beginning to show then the end is drawing so close and so fast. Don't forget younger actresses are coming up fast and thick just like you also came and made your mark and obviously all the signs being exhibited by you shows your time is up to give way to others to continue where you've chosen to stop.